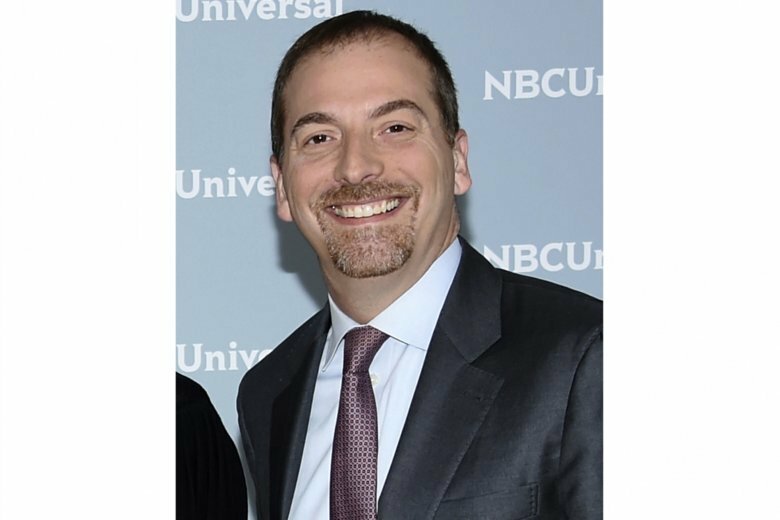 NEW YORK (AP) — NBC’s Chuck Todd, who is running a “Meet the Press” film festival this weekend, says news executives are going to have to discuss before the 2020 election the extent to which President Donald Trump will dominate their coverage. Trump has proven, both in his 2016 campaign and presidency, the ability to crowd other stories out of the news. He’s been great for the television news business: Fox News Channel and MSNBC are routinely two of the most-watched cable networks each week. But with the likelihood that Trump will keep up a running commentary on the Democrats’ nomination process — he’s already assigned a derisive nickname to one potential challenger — journalists will have to consider how much attention should be paid to it, said Todd, moderator of the 71-year-old Sunday public affairs show. “As a sitting president, he’s going to disrupt things in a way we’re not used to seeing a sitting president do,” he said. More immediately, Todd said he’s curious to find out the extent to which political changes ushered in by Trump will affect contests throughout the country during the midterm elections. Before Trump, conventional wisdom held that candidates needed to move to the center to appeal to as many people as possible in order to win general elections. Trump has instead concentrated on keeping a base of supporters happy, he said. “Painting in bright colors creates the enthusiasm,” he said. He will be closely watching the race for Florida governor between Trump supporter Ron DeSantis and liberal Tallahassee Mayor Andrew Gillum, for example. If Gillum can stay on the left and win “the swingiest swing state in the country,” that could be a sign that the idea of moderating views to win might not always be the best strategy, he said. Todd’s “Meet the Press” film festival in Washington is the second of what he hopes becomes an annual event. The idea is to support documentarians who are making films on newsy topics; among the 23 films to be featured this weekend are ones on sexual abuse, climate change, voting rights, religion and immigration. The event takes place Sunday and Monday at the Landmark Atlantic Plumbing Cinema, with Todd and NBC’s Andrea Mitchell, Hallie Jackson, Craig Melvin, Kasie Hunt, Kristen Welker and Harry Smith among those moderating discussions. Most films will be available to see digitally through NBC News for a month, and Todd said he hopes to hold later events in New York and Los Angeles. Todd said the “Meet the Press” festival is a good way to honor shorter documentaries, whose filmmakers often feel overlooked at festivals that pay attention to longer pieces. He feels the event is an important brand extension for “Meet the Press,” offering people access to deeper dives on issues than they are apt to see on news programs concentrating on up-to-the-minute news reports. The American Film Institute is collaborating on the event.